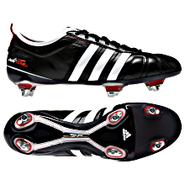 Adidas - adiQuestra 4 MG Cleats Designed to excel on multiple types of ground these adiQuestra 4 MG soccer cleats by adidas feature a synthetic leather upper a perforated collar that allows for better ventilation and a sturdy TPU outsole. 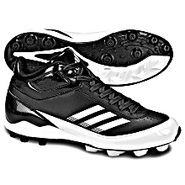 Adidas - Scorch TD MD Mid Cleats Designed for the play makers these adidas Scorch TD MD Mid football cleats feature a lightweight synthetic upper extra side and toe protection and a molded rubber outsole for grip. 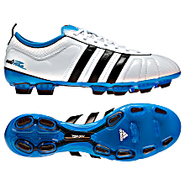 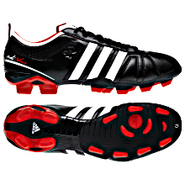 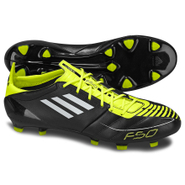 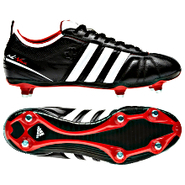 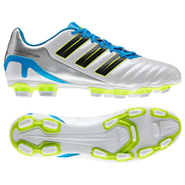 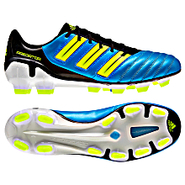 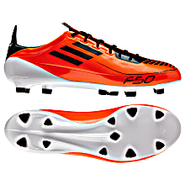 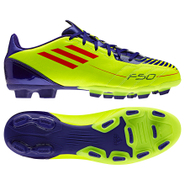 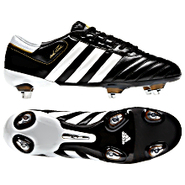 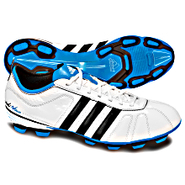 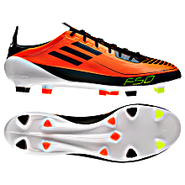 Adidas - F10 TRX FG Cleats Thrill the crowd and frustrate the competition with these adidas F10 TRX FG soccer cleats. 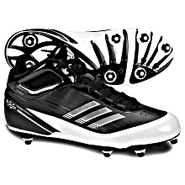 Streamlined for lightweight speed these cleats feature an aggressive TRAXION(r) FG outsole for swift plays on firm natural ground. 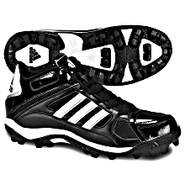 Adidas - Turf Hog LE Mid Cleats It's got all the bases covered and loaded with value. 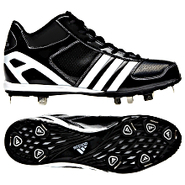 Designed for the everyday athlete this versatile mid-cut cleat offers extra ankle support and a grippy cleated outsole. 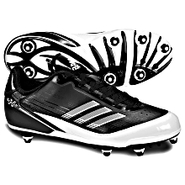 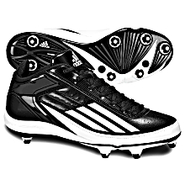 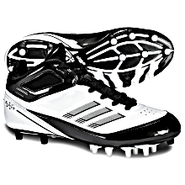 Adidas - Lightning Fly Low Cleats Put points on the board with these adidas Lightning Fly Low football cleats. 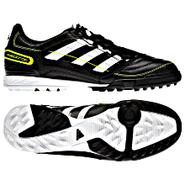 They feature a breathable synthetic upper soft EVA cushioning and a TPU fly plate outsole for lightweight advantage on grass. 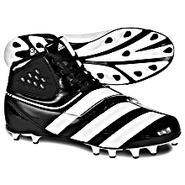 Adidas - Lightning Mid D Cleats Get to the outside and push it into their territory with these adidas Lightning Mid D football cleats. 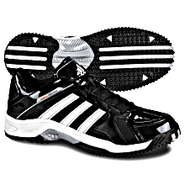 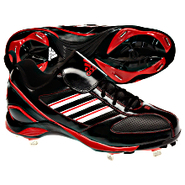 They feature a lightweight upper comfortable foam lining and detachable cleats. 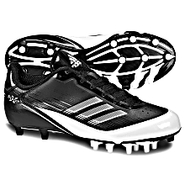 Adidas - RESPONSE Mid D Cleats Get the sideline and move the chains with these adidas RESPONSE(tm) Mid D football cleats. 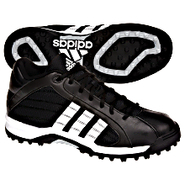 They feature a lightweight synthetic leather upper a midfoot strap for extra support and detachable cleats. 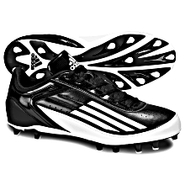 Adidas - Scorch X FieldTurf Low Cleats Pick it off and sprint to the land of six in these adidas Scorch X FieldTurf Low football cleats. 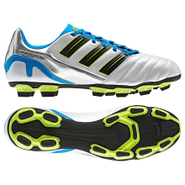 Designed to dominate on turf they feature a lightweight synthetic upper toe and side protection and EVA cushioning. 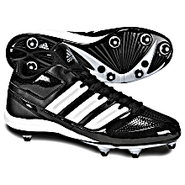 Adidas - Malice Fly Cleats Racking up the sacks means lightning speed. 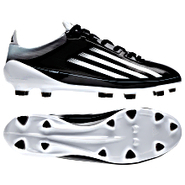 That's why these adidas Malice Fly football cleats feature the Fly plate that dominates on grass with a lightweight upper a secure lace strap and EVA cushioning. 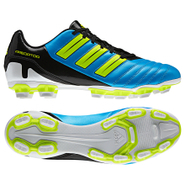 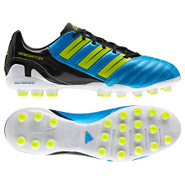 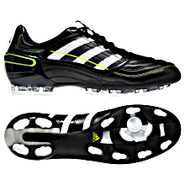 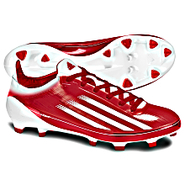 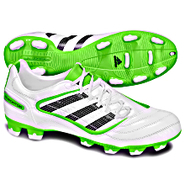 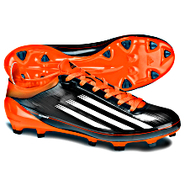 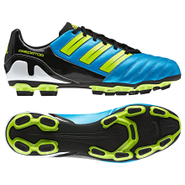 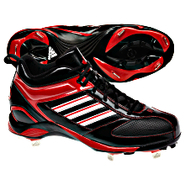 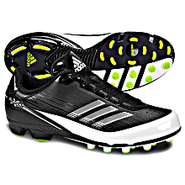 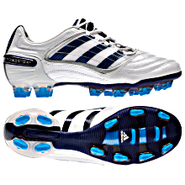 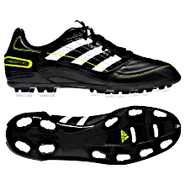 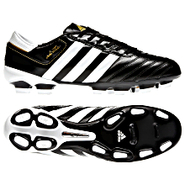 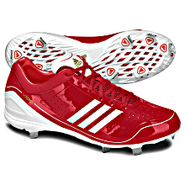 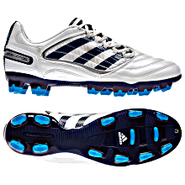 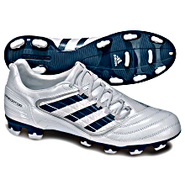 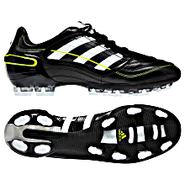 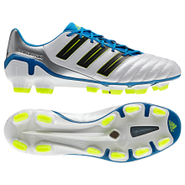 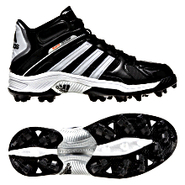 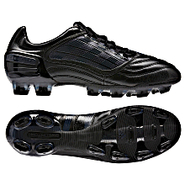 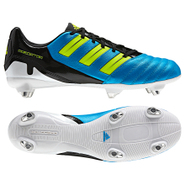 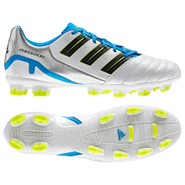 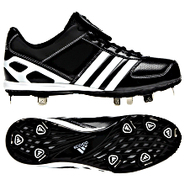 Adidas - Scorch Destroy Turf Low Cleats The adidas Scorch Destroy Turf Low is a lightweight turf cleat. 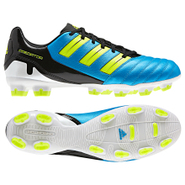 Features football-specific adiPRENE(r) heel cushioning and a strategically patterned outsole for dependable multidirectional grip. 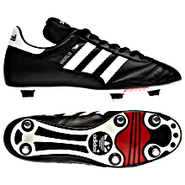 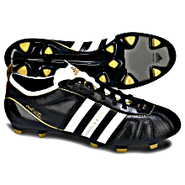 Adidas - Copa Mundial FG Cleats The most popular football shoe of the past 20 years and for good reason. 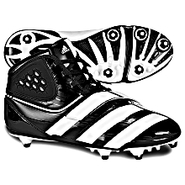 Its perfect fit and comfort have made it the top choice of football players at all levels. 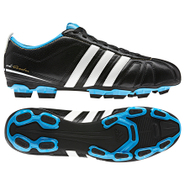 Adidas - World Cup SG Cleats Highest-quality classic soccer shoe with screw-in studs. 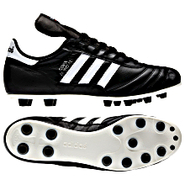 The choice of professional players for more than 20 years. 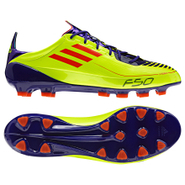 Adidas - F50 adiZero TRX FG Leather Cleats These fast adidas F50 adiZero(tm); TRX FG cleats are 5.8 ounces of extreme acceleration and razor-sharp handling thanks to a new leather upper new stud shapes and a TRAXION(tm); FG outsole for stability on firm fields.